You MUST fill out the Membership screen including a User Name. 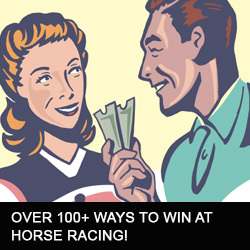 Full Card Saratoga Selections available daily during season. Selections are Friday – Sunday plus Holidays ONLY the rest of the year. Weekend Passes , Weekend Warriors, and Lifetime Memberships available. Selections for One Day Purchases: selections will be available in your Member Account just like Multi-Day Packages. Saratoga, Belmont, Aqueduct , Churchill Downs , Del Mar, Santa Anita, Tampa Bay Downs, Gulfstream Park, Arlington , Woodbine, Monmouth ~ anywhere I find a betting opportunity basically. Links -Have banners ready for your site, always looking for Link-Backs. Affiliates – We are not responsible for the products our affiliates offer. We do our best to screen all affiliates. 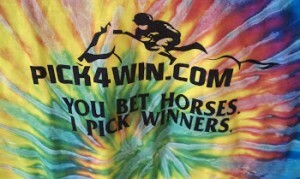 Thanks for visiting pick4win. Please read this page in order to understand the new format I’m using at pick4win to get the correct account and selections your looking for.1) If your new to the site and want to purchase -Go ahead and fill out the member form including a User Name, choose your selection package , and purchase. The picks will automatically be available in your Member Account. When your pay package expires – your account will be activated as a ‘Free Pick’ membership. Then follow directions in #2.2) If you have a’Free Pick’ account and want to purchase a pay package -Please go to ‘Contact Me’ , send me an e-mail stating what package you want to purchase. I will send you a PayPal invoice for that amount. When your invoice is paid via PayPal – your account will be Upgraded to the package you’ve purchased.If you don’t send me the e-mail – I can not upgrade your account. I will have no way of knowing, so please follow the instructions – and it will be very simple.3) If you want to sign up for ‘Free Daily Selections” – fill out the account and click on ‘Free Daily Selections as preference.’Thank you – any question or problems , please contact me at the link provided.